At the peak of the SPB-Ilayaraja spat over the copyright issue, Raja’s brother Gangei Amaren hit out at the music director for issuing a legal notice to the singer, and expressed his support to SPB. Amaren went on to describe Ilayaraja’s move as “foolishness”. No doubt, Amaren had already fallen out with Ilayaraja. It came as little surprise that he chose to criticise his brother on this issue. After all, there was no love lost between the two. Amaren had earlier come out with a series of articles on the career of Pavalar Brothers where he criticized Ilayaraja for objecting to Amaren taking up music direction independently. “What do you know about music direction?” Ilayaraja reportedly asked Amaren in front of the entire music unit, and asked him to leave the recording studio. Amaren was already upset that Raja did not give him enough opportunities to write lyrics for his songs, even though he was rated highly by giants like Kannadasan and Vali. He was also upset with Ilayaraja for having reportedly asked Kamal Haasan not to entrust direction of a film to Amaren though the latter had already commenced preparatory work for the film (apparently Thevar Magan) as Amaren later said the work was handed over to Bharathan. And so when the copyright issue blew up, it was only natural that Amaren supported SPB and not his brother. Amaren said he opposed the very idea of ‘intellectual property’ and ‘copyright’ over a song, and felt no single individual could lay claim over it once it came into the public domain. “It does not belong to the composer, only the tune belongs to him. There is the work of the singer who breathes life into the tune and lyricists like me who give it a shape, just like a male or female body,” he claimed. Amaren also was aghast that Ilayaraja would seek royalty. “What are we going to do with that money? Haven’t we earned enough?! Give this to charity. It is not fair to hit the life source of those thousands of music artistes who survive by singing these songs. It is unacceptable to say to someone that you can’t sing that song,” Amaran was quoted as saying in an interview. However, both Amaren and SPB seemed to have reacted to the issue emotionally. Fact is that legally speaking, Ilayaraja was right. His legal team had been writing to various television and FM stations that the music director had sole right over compositions, and that royalty must be paid to him by all concerned if they were to play his songs. Similarly, for shows abroad, when organizers minted money, they could easily spare some amount as royalty to the composer, Ilayaraja, was the argument put forward by E Pradeep Kumar, Ilayaraja’s lawyer. Pradeep said, “Ilaiyaraaja sir had been talking about this issue for the past couple of years and he was forced to take action in this case”. The IPRS doesn’t collect any money for concerts that are conducted outside India. In the US, Ilayaraja is said to have signed up with a company to take up his royalty cause. In the case of SPB tours, Pradeep pointed out that royalty had to be paid. “Ilaiyaraaja is the absolute owner of many of the songs he has composed, and people have been utilising his songs for so many years. They charged in lakhs per day, but wouldn’t pay the creator anything. That is why the notice was sent, and this applied to other musicians as well”. He pointed out that Ilayaraja was not seeking royalty from the light music troupes which largely survived on performing his songs. However, others in the industry like singer Srinivas said royalty might have to be paid but Ilayaraja should have sought it from the organizers and not from SPB. In the case of the US tours, they were arranged by SPB’s son S P B Charan. Therefore, the notice was served on Charan and SPB, point out Ilayaraja’s lawyers who add that no specific claim had been made by Ilayaraja for royalty payment. All he wanted was that the organizers should have obtained his permission. Legal experts, while upholding Ilayaraja’s right to seek royalty under the Copyright (Amendment) Act of 2012, pointed out that the music director could not come in the way of SPB using the performer’s right by which he had the right to sing the songs though the organizers would have to pay royalty to the music director. The amendment had also stipulated that royalty should be split among the music director, lyricist and singer. P. Sanjai Gandhi, President, Intellectual Property Rights Attorney Association and additional government pleader at the Madras high court, says the notice issued to SPB was legally valid. He pointed out that Ilayaraja had obtained copyright for all his songs from the Copy Rights Registry, New Delhi, under Copy Rights Act 1957. Gandhi also said he is the copyrights holder for his songs since he composed the tunes and lyrics were based on the tunes. “The notice issued by him against S.P. Balasubramanyam is legally valid”. The worst hit are the music labels. Hit by a sharp decline in sale of CDs, the royalty issue has complicated things for music companies. The earlier system was that film producers would pay music directors for the entire expenses of recording songs including studio rent, payment to singers, lyricists, orchestra and the studio engineers. The producers would have perpetual rights and there would be no further claims or payments to music directors, lyricists, singers or even the producer. Thereafter, the producer would sell the audio rights to music companies, who in turn would sell the songs as cassettes or CDs. Later, they also included the rights to sell the songs to mobile companies, FM and TV stations. Video song rights were also added to this list. There was no question of paying royalty to music directors, singers and lyricists as they had already been paid outright for global and all rights by the film producers. 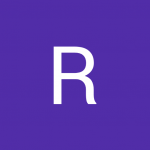 The recent complication came in the form of the amendment which provided royalty rights too. Thus, composers like Ilayaraja have staked claims for royalty. This move was mainly caused as mobile companies made a lot of money through Caller Back Ring Tones. Ilayaraja once commented that he had to pay a mobile company for using his own song on the phone. This triggered claims by composers for royalty payment. The 2012 amendment came in handy for the music directors. Realisation has now dawned on SPB and others that royalty would have to be paid to music directors by organizers of shows. In India, this is collected by IPRS. In the case of Ilayaraja who had walked out of the IPRS, his rights are said to be looked after by an American company, and therefore royalty would have to be paid not to IPRS but to Ilayaraja directly. 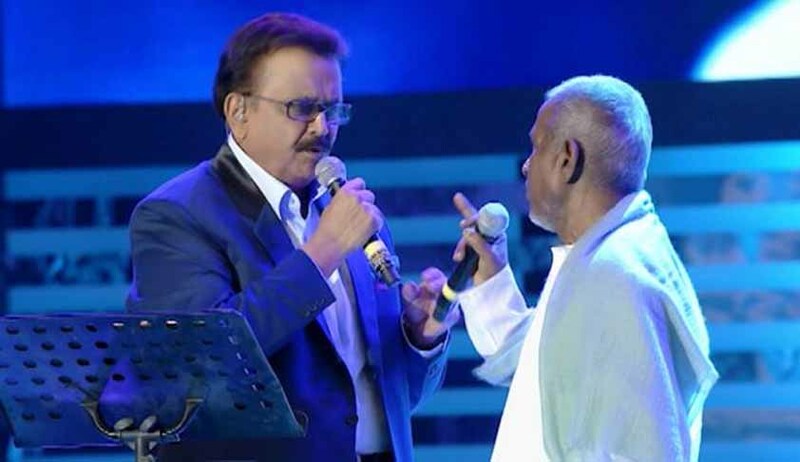 In the last few weeks, organizers of SPB music shows have been paying royalty to the relevant authorities and SPB has resumed singing Ilayaraja numbers to the delight of fans of both the singer and the music director. However, an irritant is the harassment by the Indian Performing Rights Society (IPRS) which demands and extorts huge payment from organizers of small light music shows in Tamil Nadu. This was something that Ilayaraja did not want to be done. The IPRS has ended up being the real villain, with even the music industry unhappy over payments received even as the organizers of small shows are harassed. Next — Why did celebrity directors fall out with Ilayaraja.